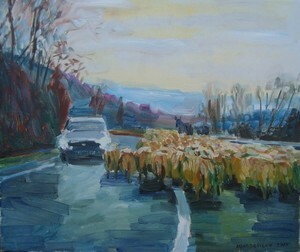 'AUTUMN' 2013. 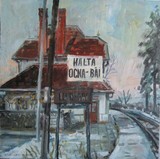 Oil on canvas, 40x50cm. 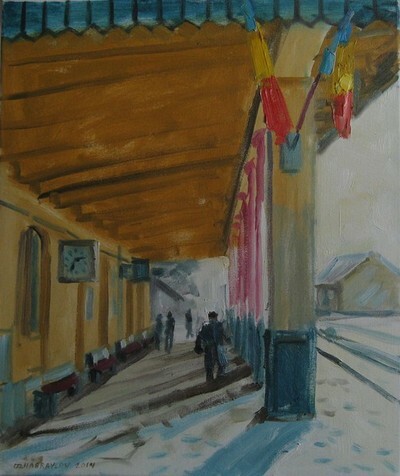 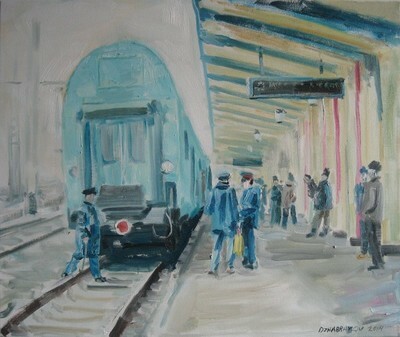 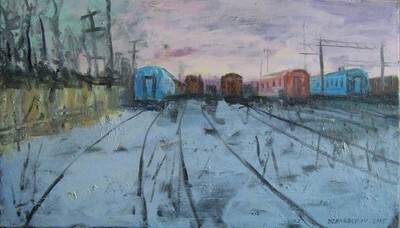 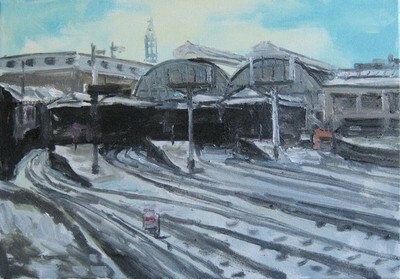 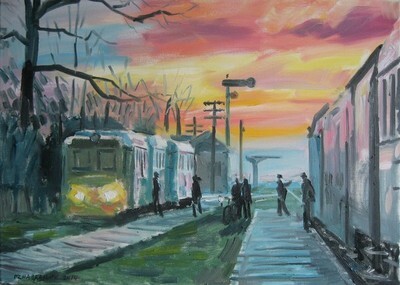 'TRAIN DEPOT' 2014. 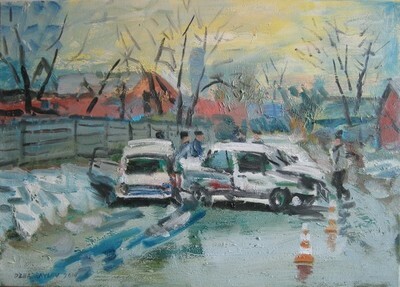 Oil on canvas, 35x50cm. 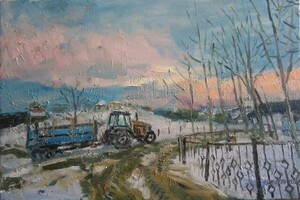 'WINTER EVENING' 2015. 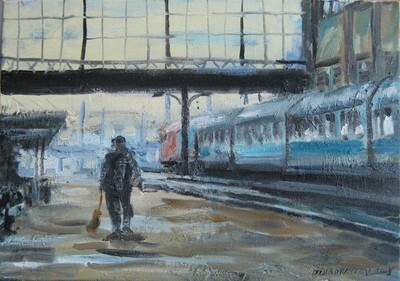 Oil on canvas, 40x60cm. 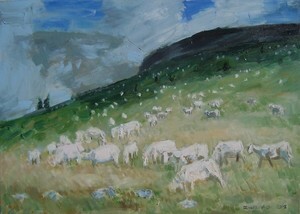 'SHEEP ON THE ROAD' 2013. 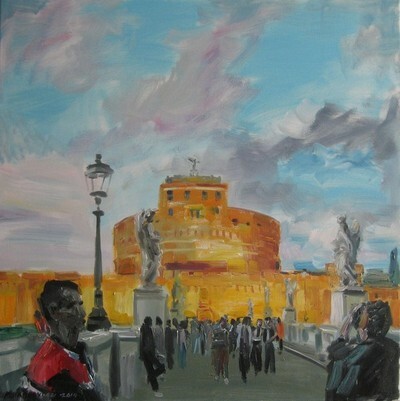 Oil on canvas, 60x50cm. 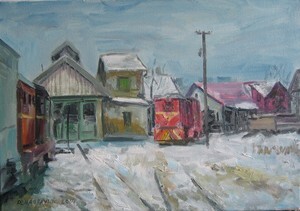 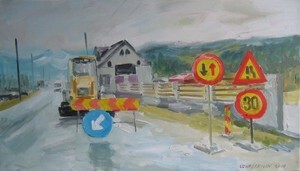 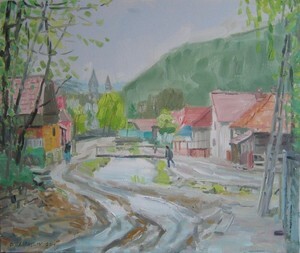 'Romanian village', 2013. 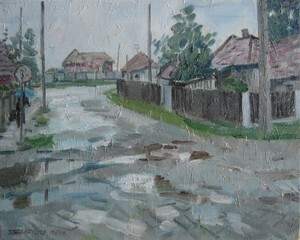 Oil on canvas, 40x50cm. 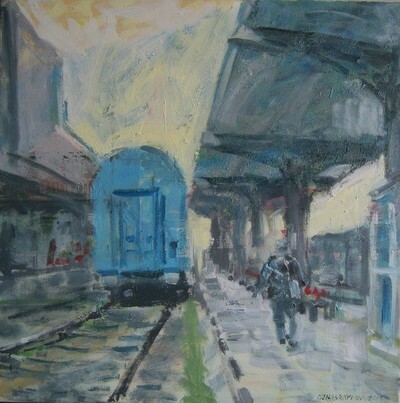 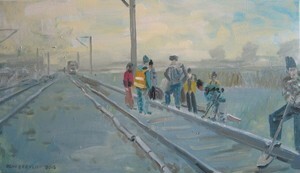 'RAILWAY WORKERS' 2015, oil on canvas 40x70cm. 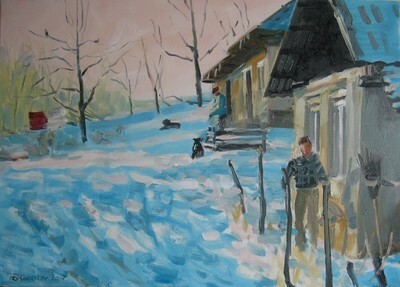 'EARLY SPRING' 2014. 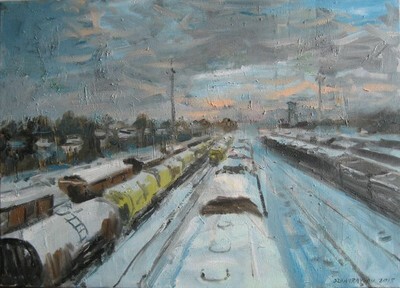 Oil on canvas, 50x60cm. 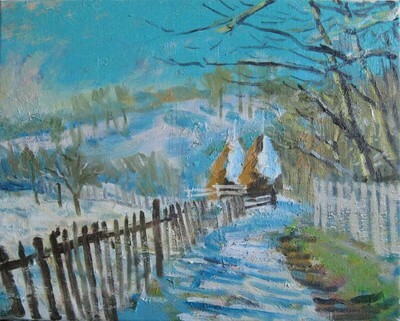 'EARLY SPRING 2' 2013. 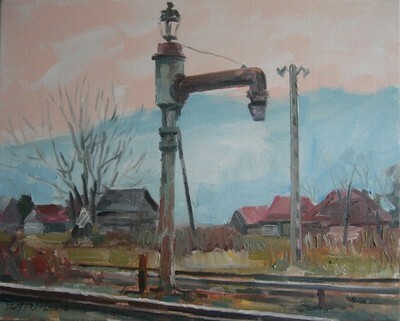 Oil on canvas, 50x40cm.